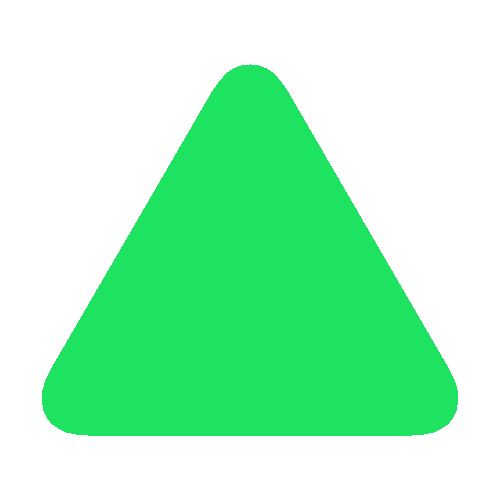 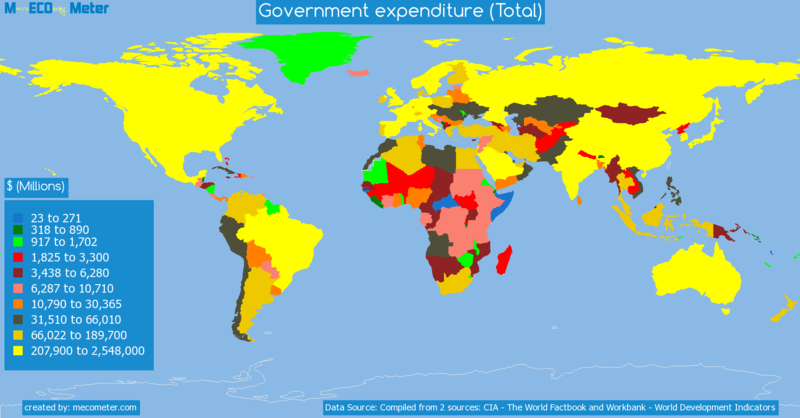 Value & RankThe Government expenditure (Total) of Vanuatu is 201 ( millions of $) with a global rank of 196. 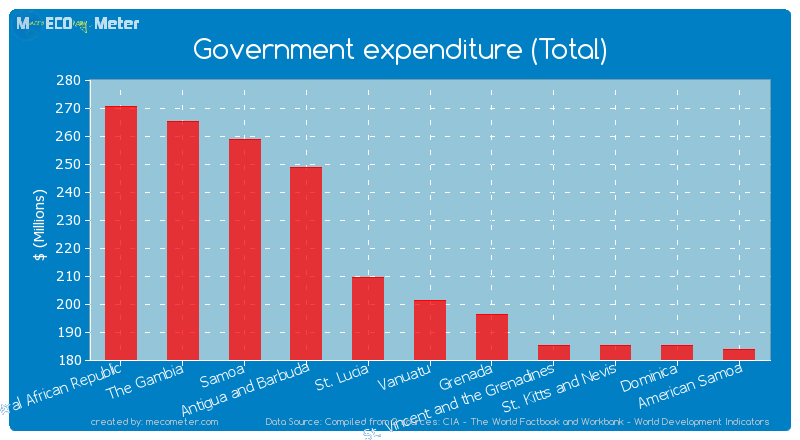 Vanuatu compared to other CountriesThe Government expenditure (Total) of Vanuatu is similar to that of Central African Republic, The Gambia, Samoa, Antigua and Barbuda, St. Lucia, Grenada, St. Vincent and the Grenadines, St. Kitts and Nevis, Dominica, American Samoa with a respective Government expenditure (Total) of 271, 265, 259, 249, 209, 196, 185, 185, 185, 184 ( millions of $) and a global rank of 191, 192, 193, 194, 195, 197, 198, 199, 200, 201.10 years growthVanuatu's Government expenditure (Total) had a positive growth of 179 (%) in the last 10 years from (2003 to 2013). 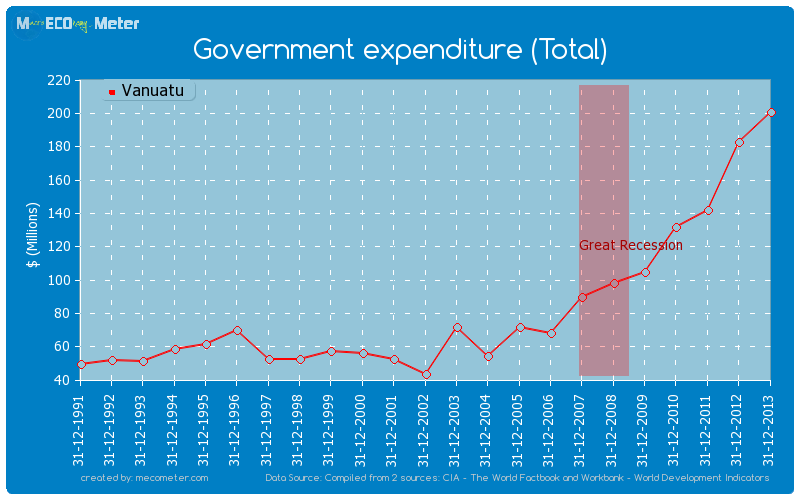 Last 10 years averageVanuatu had an average Government expenditure (Total) of 111 ( millions of $) in the last 10 years from (2003 to 2013).